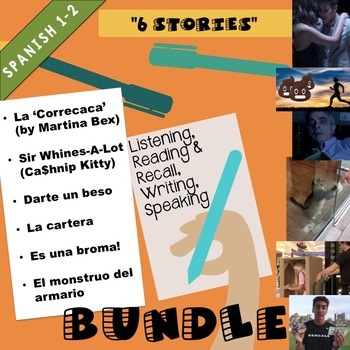 This is a bundle of 4 movie talk packs and a unit test. The unit test also covers 2 FREE download stories (one is in the bundle, and the other will need to be downloaded). *For best results, you may wish to do each section of the test on a different day, or perhaps only use 1-2 elements of the test. Don't feel obligated to assess all 4 skills on EVERY assessment!